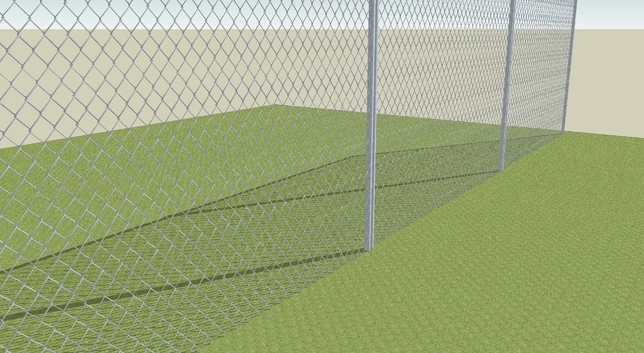 Chain link fence is a great solution to security threats as it restricts unauthorized people and other objects to enter your territory. Using high quality material makes it anti cut and applying barbed wire on top makes it anti climb. It can be applied to secure houses, farms, jails, airports etc. The Material: Good quality carbon steel, PVC coated, Vinyl coated, aluminum alloy, stainless steel wires. The surface treatment: Zinc coating: electro galvanized, hot dipped galvanized, the zinc coating from 15g- 275g PVC coated or Vinyl coated, black wire then PVC coated, electro galvanized wire then PVC coated, hot dipped wire then PVC coated. The color: Dark green, green, black, red, blue, or any color as per the demand of customer. the selvage: Knuckle & Knuckle; Knuckle & Barbed etc.